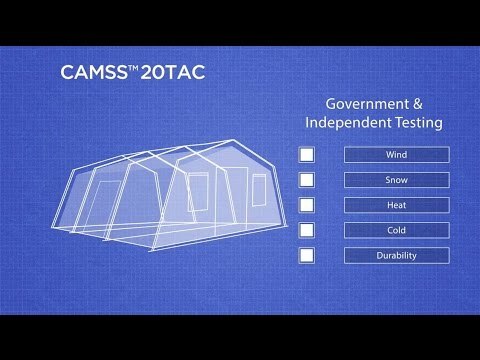 When speed is vital to your operations, you can count on the CAMSS 18TAC shelter systems, a smaller version of our CAMSS 20TAC systems. It sets up quickly, stays up strong, and strikes rapidly into a compact package. Parts are made of strong aluminum alloy for lasting strength. The 18TAC family of shelter systems include the 18TAC15, the 18TAC25, and the 18TAC35. Designed with a simple 1-piece frame and 1-piece fabric bundle, an 18TAC shelter can be set up in less than 3 minutes. The 18TAC family also make connecting shelters easy with boot connectors on shelter sides and ends so you can build your own interconnected command center in short order. 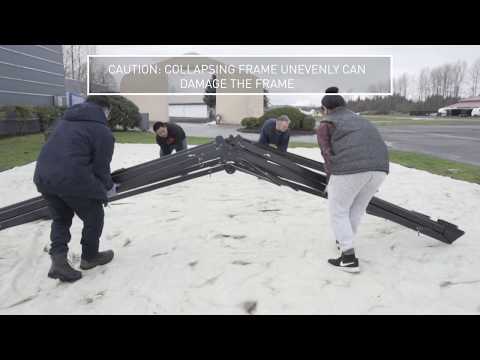 Save valuable time and avoid headaches with the 18TAC shelter systems. Designed to maintain internal temperature of 40°F to 80°F in ambient temperatures of -25°F to 125°F when supported by a 5-ton military environmental control unit. Meets Test Operations Procedure (TOP) 10-2-175 Tents and Shelters 55 mph sustained wind and 65 mph gust per testing of similar type TAC shelter. Engineering calculations demonstrate shelter performance meets a 65 mph sustained wind load and 100 mph gusts per ASCE 7-16. Meets Test Operations Procedure (TOP) 10-2-175 Tents and Shelters 10 psf snow load per testing of similar type TAC shelter. Meets Test Operations Procedure (TOP) 10-2-175 Tents and Shelters wind-driven rain test per testing of similar type TAC shelter. 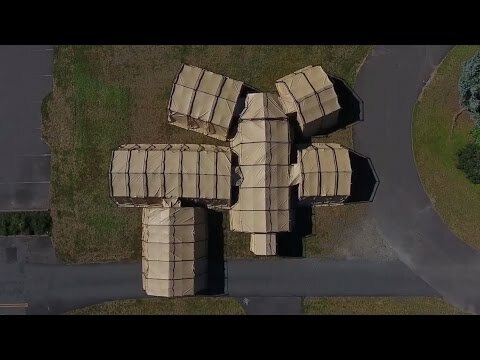 Meets Test Operations Procedure (TOP) 10-2-175 Tents and Shelters blackout test at 100m with naked eye and 300m with night vision goggles per testing of similar type TAC shelter. 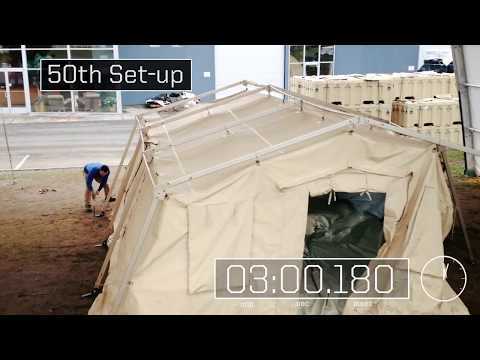 40+ setup/strike and fully deployable per test report of similar type TAC shelter.